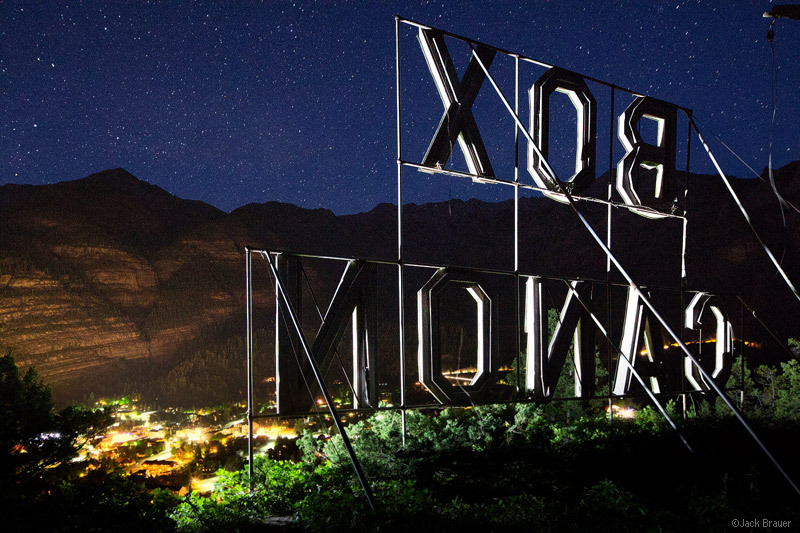 Here’s a random photo of the day for you: the old Box Canyon sign overlooking Ouray last night. I wonder, did they run out of room for the Y, or forget the tilde over the N? Posted in Colorado and tagged Colorado, Ouray on June 11, 2013 by Jack Brauer. ← Previous: "An Evening with Sneffels"